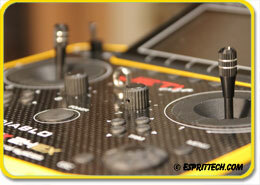 * We Reserve right to exclude all Package Deals and some Clearance/Deal items from this promotion. 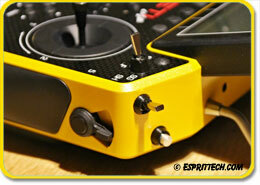 Jeti Bi-directional Telemetry RPM Sensor with Magnetic Hall Effect MRPM EX!!! 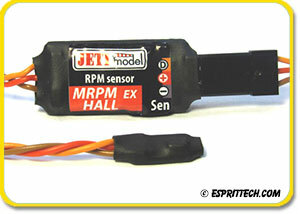 The Jeti Duplex MRPM HALL sensor provides RPM and power level readings using magnetic Hall Effect and rare earth magnet. 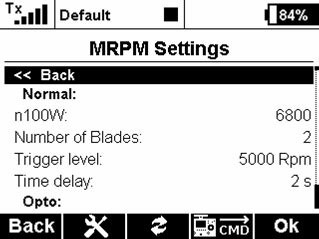 The MRPM HALL sensor measures the rotation speed and performance of the rotating surface and provides warnings when pre-set parameters are exceeded. 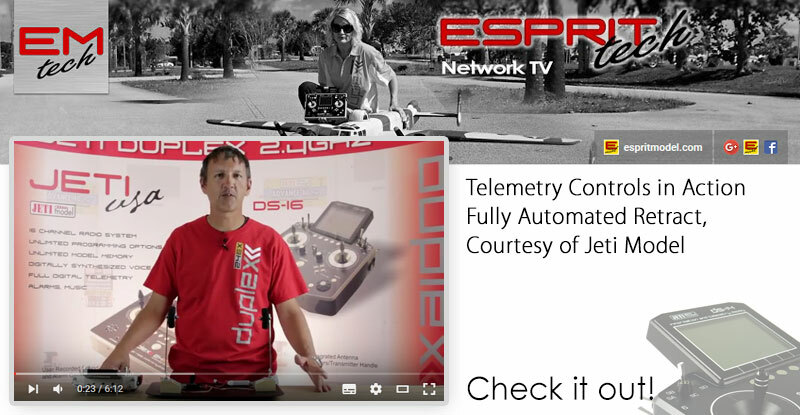 All information is transmitted in real time using Jeti Duplex telemetry system. 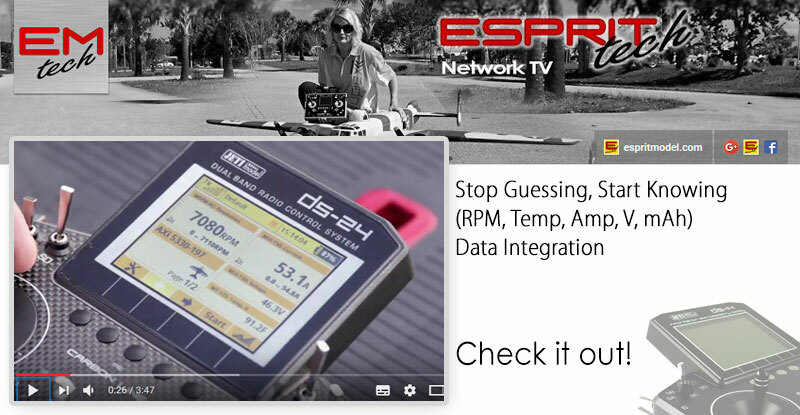 The new MRPM HALL sensor communicates wirelessly, bidirectionally with the transmitter, not only allowing data to be sent from the receiver to the transmitter but also allowing the receiver in the model to transmit data back to the sensor. 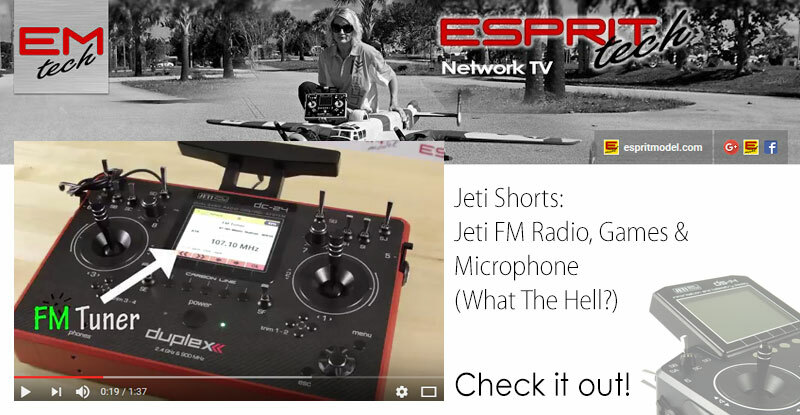 In this manner, telemetry data obtained during operation is transferred in real-time and the current state of the system can be presented on the LCD screen of the JetiBox Profi or any of the Jeti DC/DS line of transmitters. 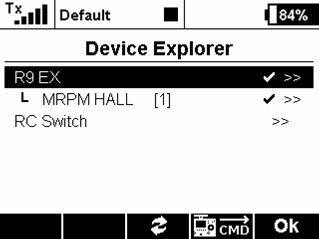 The new MRPM has been equipped with two independent ports for hall sensor connection. 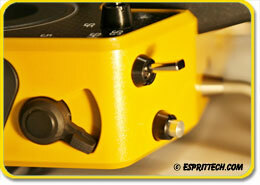 If needed both can be used for attaching magnetic hall sensors and used for measuring two RPM sets individually. 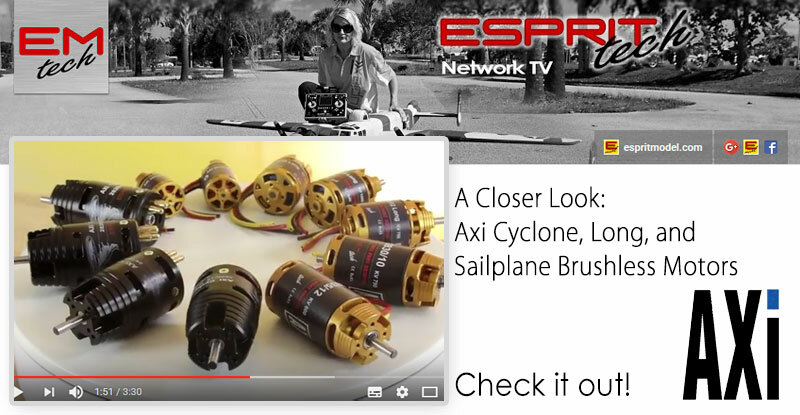 Introducing Brand New Line of AXi Cyclone Inrunner/Outrunner Sailplane Brushless Motors (In Stock)!!! 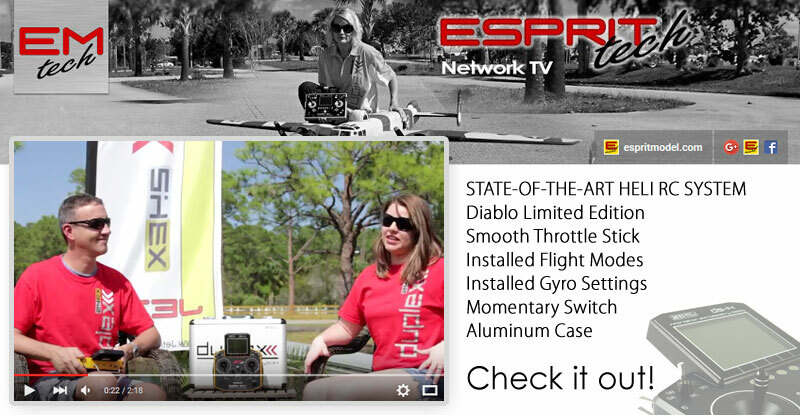 Esprit Tech is introducing a brand new line of lightweight, AXi Cyclone Inrunner / Outrunner brushless motors. This new design offers an extremely high level of efficiency with extra durability and is particularly suited for use in electric sailplanes and hotliners. 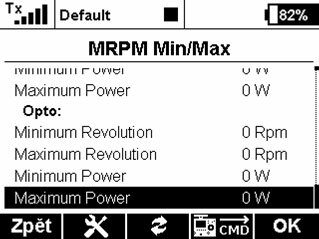 Largely due to the low installation profile coupled with a direct plug-in power connection at the rear of the motor. 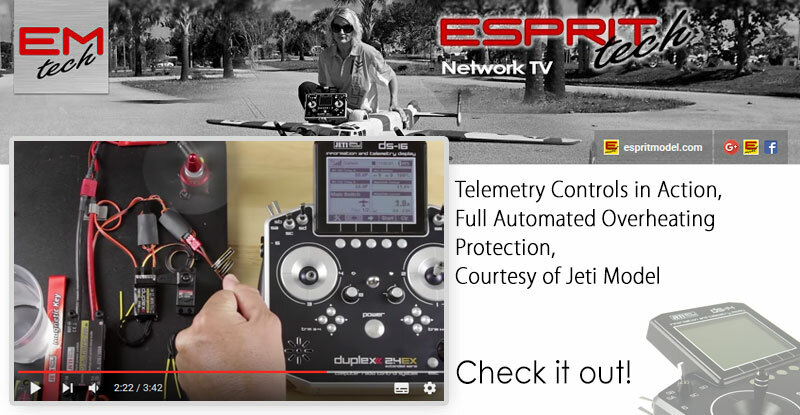 An aluminum cooling fan, triple ball bearing support and a 5mm hardened steel shaft, running inside precision cut, lightweight, aluminum cases, are just a few of the new features of this design. We are particularly excited at the fact that the new motors require no special techniques for servicing, as well as, all spare parts being readily available. Time to Upgrade? 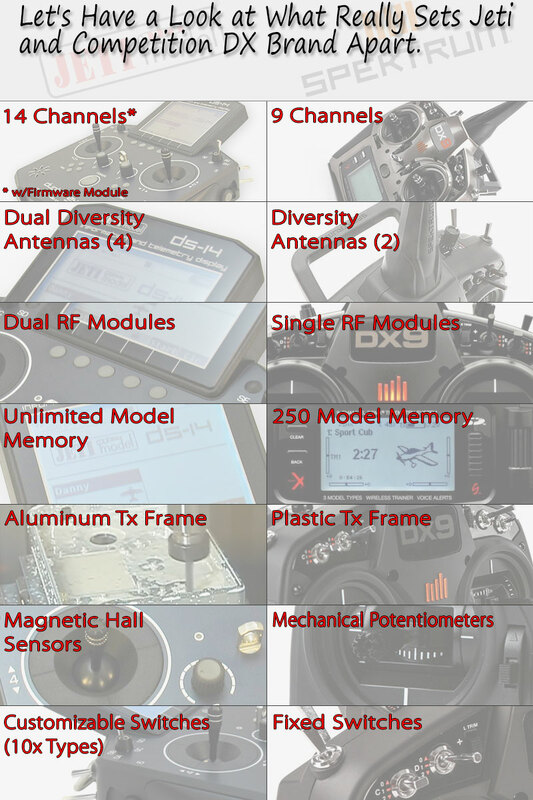 Can Your Transmitter Do Any of This?